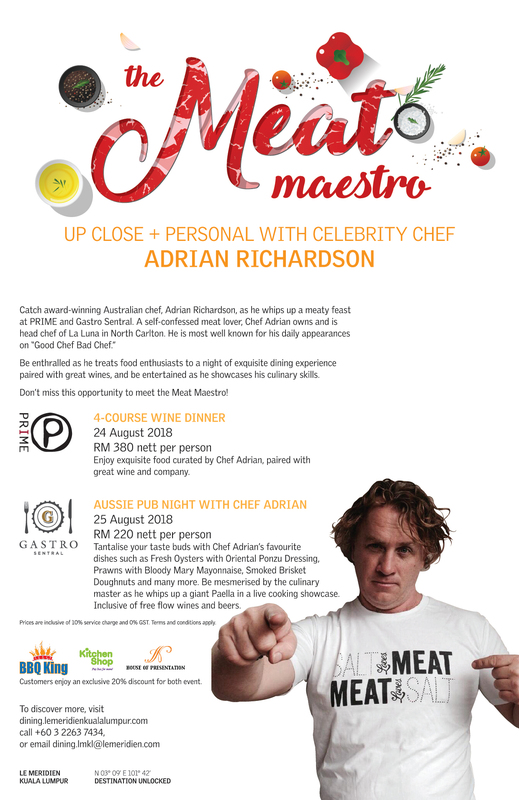 Catch award – winning Australian Chef, Adrian Richardson, as he whips up a meaty feast at Prime and Gastro Sentral. A self- confessed meat lover, Chef Adrian owns and is head chef of La Luna in North Carlton. He is most well for his daily appearances on “Good Chef bad Chef “. Be enthralled as he treats food enthusiasts to a night of exquisite dining experience paired with great wines, and be entertained as he showcases his culinary skills.